I worked with my friend and classmate Luca Ambrogioni on a model that predicts the evolution of voter preferences in time. More specifically, the model uses election polls to estimate what voter preferences for all 4 candidates would be on election day (the 8th of November). We estimate voter preferences in all states and use them to calculate the probability of each candidate winning each state. Finally, we use the state win probabilities to calculate each candidate’s probability of winning the entire election and becoming the next US president. Luca is currently doing a PhD in cognitive neuroscience. He has serious interest in machine learning and time series analysis and is currently developing new algorithms in neuroscience and other fields. I will link to his blog as soon as it goes live (which should be soon enough). For now, check out his personal page in Google Scholar. The model we worked on is an example of an application of a machine learning method. You can see the current model predictions in the very first section below. They are followed by an overview of how US presidential elections work in general. In the main part of this post, I’ll go over the details of our model and the way we use it to make these predictions. Finally, I’m going to conclude the post with some general thoughts on the current election cycle. Without further ado, take a look at the latest predictions of our model. To view results for other dates, click on the date above the map. The explanations are below the map. The intensity of each state’s color represents how certain the favorite is to win. That is, states with paler colors are less predictable than those with solid colors. The electoral votes each candidate is currently expected to win. The probability of each candidate winning the majority of the electoral votes (270 or more). The probability of each candidate winning the highest number of electoral votes without necessarily reaching 270. In case no candidate reaches the 270 electoral vote threshold, the US Congress will determine the presidency. You can find a detailed explanation of the general election process in the next section. You can see our current estimates for candidate preferences by clicking on the tabs below the map. The plots show the candidate preferences’ evolution in time. The colored circles in the single-candidate plots show all the polls the estimates are based on. The poll sample size is color-coded according to the legend on the right. You can click on individual states to see the state-specific predictions of our model. Finally, you can see our model’s predictions from previous dates by clicking on the date above the map. In a little over a month and a half, eligible US voters will choose the next US president. However, unlike many Western democracies, the US president is not directly elected by voters. Instead, the president is chosen by an institution called the United States Electoral College. This institution currently consists of 538 electors who choose the president about a month after the November vote. Each elector casts a single vote and the presidential candidate who gets 270 or more votes (i.e., a 50%+ majority) wins the election. Who are these electors and why are they exactly 538? 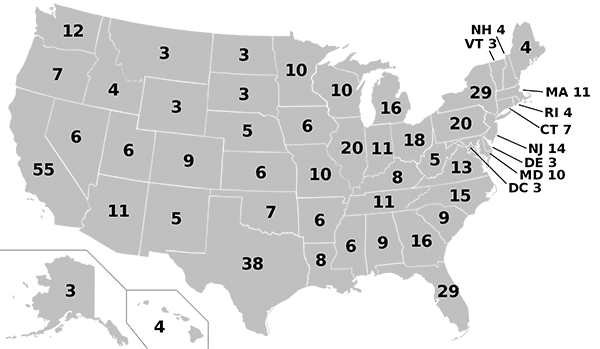 What happens if no candidate gets 270 or more electoral votes? 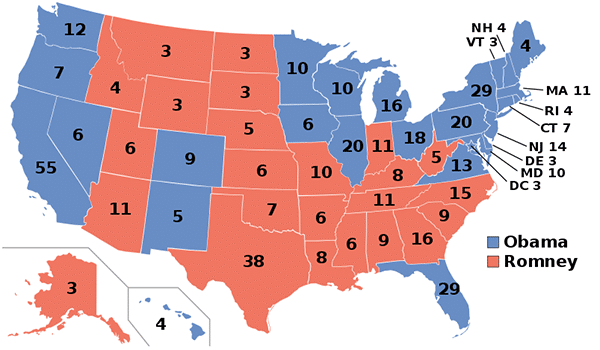 The Electoral College consists of 538 electors. This number comes from the number of members of the US Congress. There are currently 535: 435 in the House of Representatives and 100 in the Senate. The additional 3 electors are given to the District of Columbia, which is not a state and has no representation in Congress. The Electoral College is completely independent of Congress but the number of electors given to a state is strictly equal to that state’s number of legislators. The number is proportional to the population of the state and, consequently, large states like California and Texas have a much bigger influence on the election than small states like Delaware and Montana. The 538 electors never actually meet. Electors from each state vote locally a month after election day and their votes eventually reach Congress to be processed along the electoral votes from other states. Electors from a state cannot split their votes. That is, all electors (with the exception of Maine and Nebraska) vote for the same candidate. Namely, for the candidate who wins the popular vote of the state. This is essentially a winner-takes-all system where a candidate only needs a plurality win to secure all electors of a state. Maine and Nebraska are somewhat of an exception, since the winner-takes-all system there is applied on a congressional district level, not on a state level (so each of their 4 electors can, in principle, vote for a different candidate). Technically, there is no text in the US Constitution that forces electors to follow their state’s rules and vote for the winner candidate. An elector’s vote against the popular vote will still be legitimate. However, in practice this almost never happens and some states even have local laws against so-called faithless electors. 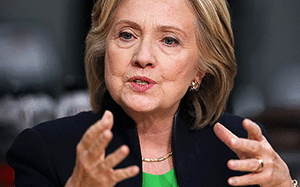 A candidate needs to get at least half of the electoral votes to become president. In case no candidate passes the 270-elector threshold , the US Congress chooses the next US president and vice president. More specifically, the House of Representatives chooses the president and the Senate chooses the vice president. The eligible candidates the House can vote for are the top 3 candidates who won the highest number of electoral votes. There’s also the requirement that a candidate needs to win at least one state to be considered in the Congress vote. As for the vice presidential vote, the options before the Senate are limited to the top 2 vice presidential candidates. If it comes to that, Congress will continue to vote until a candidate receives a majority of the votes. It’s important to note that the 435 representatives don’t vote separately. Instead, all representatives of each state get a single vote. So, California’s 53 representatives will have the same impact on the result of the vote as, say, Alaska’s single representative. To become president, a candidate needs at least 26 of the 50 available House votes. 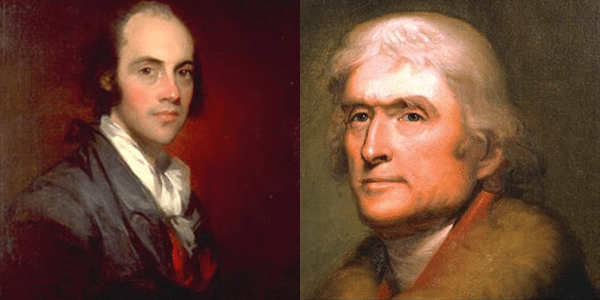 The 1800 election was the first time the presidency had to be decided by Congress in a final contest between Aaron Burr and Thomas Jefferson. Alright, enough small talk. Let’s go to the actual predictions for the 2016 election. However, in our analysis we don’t model the preferences of Congress and assume that the probabilities of legislators choosing a particular candidate are more or less proportional to the number of electoral votes the candidate won. In other words, the assumption is that not including Congress in our model doesn’t have a significant effect on our predictions. Given the very small chance of no candidate getting 270+ electoral votes in this election, this is most likely not going to be relevant at all. Okay, let’s delve deeper into the analysis. A candidate who wins these 11 states will have exactly 270 electoral votes and win the election. Calculate the probabilities of all state combinations. Take all combinations with 270+ electors and calculate the portion of the sample space they occupy. If you’re hearing the term ‘sample space’ for the first time, check out my post about sample spaces. In short, a sample space is the set of all possibilities of a random experiment or a random process. In our case, the elements of the sample space are the possible state combinations. The random process is the voting on election day itself. For each candidate, the probability of winning more than 270 electors is simply the portion of the sample space occupied by the “270+” combinations. 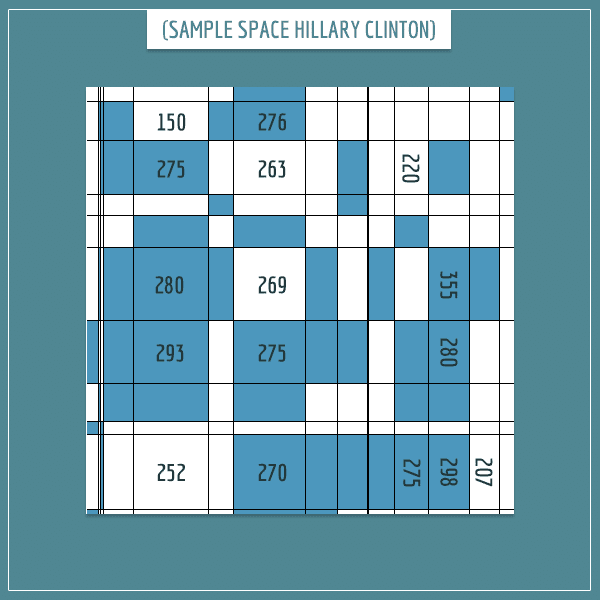 The figure above shows an example representation of Hillary Clinton’s sample space. Each rectangle stands for one combination of states. Its area represents the probability of her winning that particular combination. Rectangles colored in blue are combinations that pass the threshold of 270 electors. The size of each rectangle is proportional to the probability of Clinton winning that combination. Her overall probability of winning the election is equal to the sum of the areas of blue rectangles divided by the total area of the sample space. Remember, each rectangle represents a combination like “Nevada, New Jersey, Oklahoma…”. The numbers associated with rectangles are the sums of electors a candidate would get if they won exactly that combination. Notice that the areas of rectangles don’t depend on the number of electors in the combinations. The sample space consists of all possible combinations and two separate combinations which result in the same number of electoral votes may have very different probabilities for a candidate. Combinations mainly consisting of deep red states like Mississippi and Louisiana will be very unlikely for Clinton but very likely for Trump to win. This is the number of all subsets of the 51 states, also known as the power set (you can see how the number is reached in my post on combinatorics). So, we’re interested in the probability of the compound event of winning one of the 270+ state combinations. This probability equals the sum of the probabilities of these special combinations. However, given the huge number of possibilities, calculating each combination’s probability would literally take forever. So, we took a simpler approach. We decided to approximate the probability by simulating the election multiple times. We calculated each candidate’s win probability as the number of times they crossed the 270 threshold, divided by the total number of simulations. These kinds of approximations are common in fields like machine learning and statistics, when calculating the exact probability is infeasible because it involves summing a very large number of terms. One simulation is basically having virtual voters express their preferences. In each simulation, each candidate wins or loses a state with the probability we calculated with our model. Then, we sum the electors from all the states the candidate won. If the number passes the 270 threshold, the candidate’s win count increases by 1. A candidate’s win probability is their win count divided by the total number of simulations we run. This is the main and most important part of our model. The polls inform us about the voter preferences for candidates. What we need to do is use these preferences to calculate the probability of each candidate winning each state. So, how do we do that? A common mistake is to equate a candidate’s win probability with their respective preference. In other words, if 53% of the polled likely voters in a state said they preferred Trump, this doesn’t mean Trump will win the state with a probability of 0.53. In fact, if we knew with absolute certainty that 53% of the voters would vote for Trump, his win probability would be 1 and everybody else’s would be 0. Can’t we just take the average of all polls for a particular state? And declare the candidate with the largest preference the most likely winner? There are two problems with this approach. First, the polls are inherently noisy because they are taken over samples and not over the entire population. Their results can never be taken at face value. Second, and more importantly, the preferences for each candidate evolve over time. Some voters change their preferences from one candidate to another or change their mind about voting versus not voting in the first place. 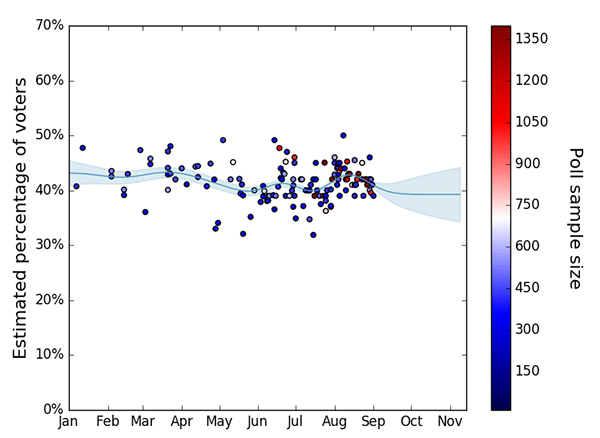 This is an example plot which shows our estimation for Hillary Clinton’s national preferences in the first days of September. The approach for estimating state preferences is identical. The circles show the poll results and their colors indicate the poll sample size. The thick line shows the expected percentage of voters for Clinton. The shaded area around the line represents the range of most probable values (the variance) according to our predictor — the ones closer to the line being more probable than the ones further away. We model the evolution of the preferences as Gaussian processes. The details of this part of the analysis are quite advanced, however. For now, what you need to know is that our model is capable of detecting trends in the poll results and uses them to estimate candidate preferences in future time points. 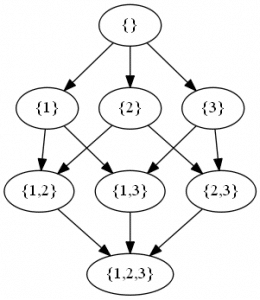 This similarity matrix allows information to flow between states. A state poll will update the estimates not only for the state in which it was taken, but also for states with similar demographics. To give an example, a poll in Alabama will have a larger effect on the estimates of another red state like Kansas than on a blue state like Massachusetts. I’m going to leave the exact details of how information flows between states for a future post. We calculate the state win probabilities using a similar method to the one we used for simulating the entire election. Namely, we draw samples from the estimated distribution of preferences on election day, count the number of times a candidate had the highest preference, and divide by the total number of draws. In the final section of this part of the post, I am going to demonstrate the reliability of our model by showing its accuracy in “predicting” the 2012 election outcome. Below is the map showing the results of the 2012 election followed by our model’s predictions based on all 2012 state and national polls. By clicking on any of the months below, you can see what our predictions would have been on that particular month. Our model shows that Obama was a huge favorite to win the election throughout the entire cycle, despite him being neck-to-neck with Romney according to the national polls. This is a perfect illustration of how the Electoral College renders winning the national popular vote almost useless. Notice that we correctly predict the favorite to win every state, except for Florida (even though some of our early predictions do correctly give Florida to Obama). A possible explanation for this discrepancy could have something to do with pollster biases we didn’t take into account. Or this could simply be a surprising result too. Small probability events do occur (in fact, they occur all the time). The overall accuracy of our predictions gives us great confidence in our estimates of this year’s election. Hillary Clinton and Donald Trump are the favorites to win the presidency. However, there are 2 other serious players in this election: Gary Johnson and Jill Stein. Although their chances of winning are currently very low, they are the only other candidates who have a theoretical chance of winning the election. By ‘theoretical chance’ I mean that they are going to be on the ballot in enough states to be able to win at least 270 electoral votes. Also, even if they don’t win, they can have a significant effect on the election outcome if they manage to “steal” enough votes from Trump or Clinton. Especially if they do so disproportionately and in key states. Many people, including myself, think that this year’s US presidential election is among the most interesting elections in recent US history. The main reason is that there have been significant shifts in the political preferences among US voters in a relatively short amount of time. Maybe it’s more accurate to say that the election cycle so far has revealed shifts in the political spectrum many people were unaware of. These were shown by both the Democratic and Republican primary elections, as well as the general election campaigns. For starters, nobody expected 3rd party candidates’ current popularity. 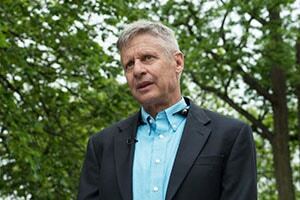 In the 2012 election, Gary Johnson received about 1% of the national vote. Now, just 4 years later, he is polling at around 10%! 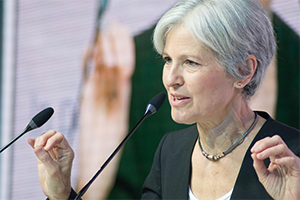 Similarly, Jill Stein received less than 0.5% of the vote in 2012 but now she is polling at around 4-5%. This can be partly explained by the fact that the two main candidates have a strongly polarizing effect on voters. Both Hillary Clinton and Donald Trump have very high unfavorability ratings and many voters vow to never vote for one or either of them. Naturally, this led to the rise of popularity of other candidates, as many voters started looking for alternatives. Attitudinal changes among voters have deeper roots than disaffection with the two main candidates alone. A Gallup analysis published earlier this year showed a record high number of voters identifying as political independents. So, it’s more accurate to say that the disaffection is actually with the two-party system that has been dominant in US politics for the past 2 centuries, as well as with the two major parties themselves. It first became clear that this election was going to be different from previous ones by the surprisingly big popularity of candidates who people perceived as “anti-establishment”. 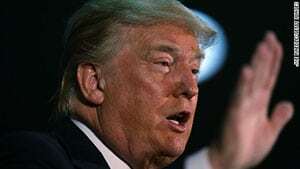 On the Republican side, Donald Trump started out with small poll numbers but quickly established himself as the front-runner in the primaries — a position he held all the way to the Republican National Convention in July. On the Democratic side, Hillary Clinton started the race as a big favorite but ended up having to fight for her nomination against Bernie Sanders, who was the “anti-establishment” candidate in the Democratic primaries. Sanders surprised voters and pundits by closing a 50% gap in the polls and gave Clinton a very hard time throughout the primary season. Unlike Trump, Sanders didn’t get the Democratic nomination, but his popularity is likely to have a significant effect on the election outcome. Despite being out of the race, he is still campaigning for Clinton and against Trump. He also managed to shift some of Clinton’s positions on important issues like healthcare, education, and campaign financing. The number of eligible US voters is around 250 million, of which about 50% are likely voters. The voter turnout in this election is expected to be higher than usual, due to the factors I discussed above. I expect the election to get even more intriguing and unpredictable in its final stages, especially when the candidates go head-to-head in the debates. Estimate the likely range of voter preferences for each candidate on election day using polls and state demographics. Using these probabilities, simulate the election a large number of times. Calculate each candidate’s probability of winning the election as the percentage of simulations in which the candidate won 270 or more electoral votes. The accuracy of these predictions depends on the assumption that the polls are relatively unbiased towards candidates. Also, note that at any point in time there may be an event or multiple events which drastically shift the trends of the election. Such events may be a big political blunder, a leaked revelation, or another type of political scandal which involves one or more candidates. Keeping in mind how this election has unfolded so far, such events aren’t all that unlikely. Especially if we remain to see the best of this election for last! Our model does quite well in “predicting” the 2012 election results, so we are optimistic about the accuracy of its predictions for the current presidential election too. We are looking forward to comparing the election results to our predictions at different points in time. All in all, we have an exciting month and a half ahead of us! Special thanks to Sparx, Veli, and Meryl for their contribution to the writing of this post! What went wrong with the model ? I don’t think something in particular went wrong. An underdog victory by itself doesn’t suggest a problem with the model, as Trump’s win wasn’t ruled out according to the latest predictions. Having said that, a post-hoc observation suggests the polling data for a few states was decently flawed, which did influence the accuracy of our prediction. We actually managed to capture a few “swings” of states from one candidate to another throughout the campaign, before that was strongly indicated by the respective state’s polls. A few examples include Arizona, Ohio, Florida, and North Carolina (the last two we “caught” in the last week of the election). These predictions were made by the part of our model dealing with transferring information between states. This makes me think we could have probably also predicted the swings in the key states that everybody, including us, got wrong (mainly, Pennsylvania, Michigan, and Wisconsin), despite their biased polls. We’re currently working on improving this part of the model for future elections, actually. Very interesting post. Could you elaborate a bit more on the issue of the four correctly predicted sates (AZ, OH, FL and NC). The polls that I’ve been looking at showed clear victories for Trump in 3 out of 4 and were dead even in FL. Of course poll bias is one thing, and changing opinion a different. Hi, Sturm! What our model managed to do several times throughout the election cycle was to predict a change in the lead in the polls before the change was actually reported by the polls. This was possible because our model tries to anticipate future voter preferences based on current trends in the polls (both in the same state, as well as in other states with similar demographics). For example, the polls in Arizona could be showing Trump leading in the polls on a particular day, but because the gap between him and Clinton has been closing for the previous 5-6 days, the model could anticipate that Clinton would take the lead within a few days from the time of prediction. Similarly, the same switch in lead can be anticipated by the model if Clinton has been closing the gap in other states with similar demographics to Arizona, even if there are no new polls in Arizona. Me and Luca are planning to do a detailed analysis of the performance of the model (what it got right and what it got wrong). I’m not sure when exactly we’ll have time for that because we’re currently working on making certain improvements in the model in order to be on time for the Dutch and French elections in early 2017. But it’s going to happen sooner or later. In the meantime, I’d be happy to answer any technical questions about the model in the comments here. Let me know!